What Are the Different Institutions of Greek Democracy? 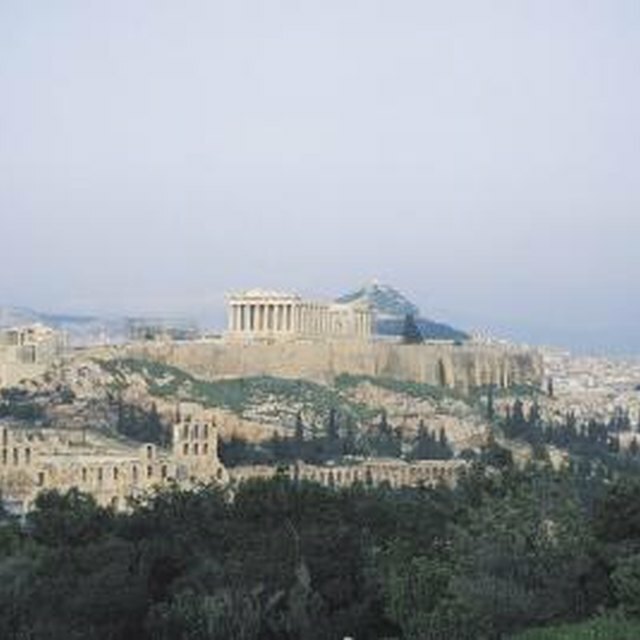 Ancient Athens established the first known direct democracy. 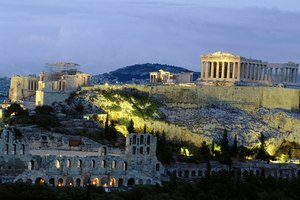 The Greek city-state of Athens established the first direct democracy around 508 B.C. This new system of governance was a unique democratic experiment where the people cast votes for legislation and executive bills in their own right, instead of through an elected representative. The Athenians' democratic government consisted of the Assembly, the Council of Five Hundred and the courts, which created laws that abolished political distinctions between aristocrats and the middle and working classes. But participation in the democratic process still was not open to the masses. While Athenian citizenship was guaranteed for both men and women whose parents had previously acquired citizenship, only male citizens over the age of 18 who had completed military training had the right to vote. 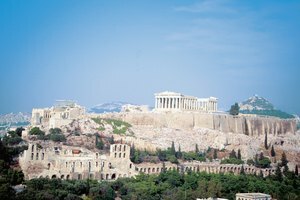 While Athens’ democratic government crumbled within 200 years, its principles influenced the political thinkers who established the first democracies of the modern era. 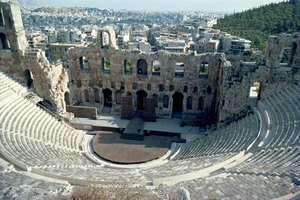 While ancient Greece consisted of hundreds of city-state democracies by the fourth century B.C., Athens was the longest-lived, the most stable and the most radical. The Athenian leader Cleisthenes introduced a system of political reforms called the demokratia – which translates to “rule by the people" -- in 507 B.C., which led to the creation of the Athenian democratic constitution. 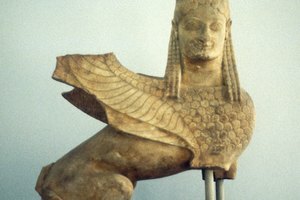 Out of the estimated 250,000 individuals who populated ancient Athens, about 30,000 on average were adult males with benefits of full citizenship. The Assembly, the sovereign governing body of Athens, typically consisted of a quorum of about 5,000 citizens. Meetings were open to all male citizens and took place 40 times per year, where participants would draft laws and make political decisions regarding warfare and foreign policy via a majority vote. The Council of 500 consisted of 50 men chosen by a lottery from each of the 10 Athenian tribes. The selected men served on the Council for one year, where they would meet daily to deal with the day-to-day governance of Athens. Juries for the third branch of government, the popular courts, were also selected through a lottery from a pool of male citizens over the age of 30. The court essentially made up ancient Athens’ entire justice system – it had the ability to bring cases to court, argue for the prosecution and defense alike, and deliver verdicts by majority rule. 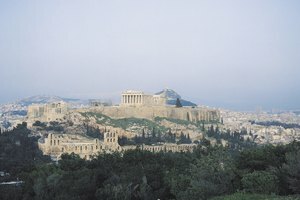 Although Athens’ direct democracy briefly shifted the balance of power to the poorer sections of the city-state – a time period that saw the ascendance of ancient thinkers such as Aeschylus, Aristophanes and Socrates – the system weakened as a result of the onslaught of the Peloponnesian War (431-404 B.C.). The democratic system was replaced by Athenian oligarchs on multiple occasions during the war, but was restored and flourished before succumbing to Macedonian forces in 322 B.C. While the founding fathers looked to ancient Athens as a framework for democratic governance, the writers of the United States Constitution did not favor a direct democracy. The Anti-Federalists – who opposed the ratification of the Constitution – argued for the populist government that allowed citizens to actively participate in lawmaking decisions. Although the Federalists clearly triumphed and established a representative democracy, state ballot initiatives and referendums survive as an example of direct democracy within the representative government. Switzerland survives as a rare example of a country that combines direct democracy (at the level of town and country elections) with a representative parliament. 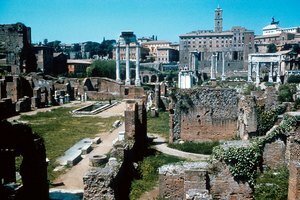 What Civilization's Governments Were Studied by Constitutional Framers? Portero, Ashley. "Which Civilization Established the First Direct Democracy?" Synonym, https://classroom.synonym.com/civilization-established-first-direct-democracy-16875.html. Accessed 22 April 2019.